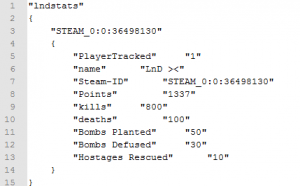 LnD Stats casts all things about Player you want! 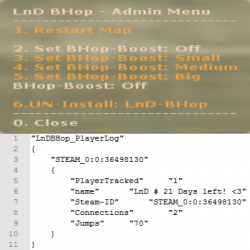 LnD BHop-Stamm is a Stamm-Player Addon Like Stamm, but for BunnyHop-Servers, because it casts Jumps! 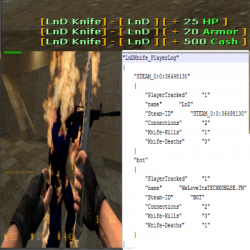 LnD Survival is A Full Server-Addon, which is like Zombie Mod, but the zombie's are BOTs and getting stronger every Wave. The Terrorists have to Survive!